Everyone seems to love juicy watermelon in the summertime. Native to Africa, melons need warm temperatures (up to 80 degrees during the day) and a long growing season. Gardeners in colder climates can still have success in growing watermelon by starting seeds indoors and choosing short-season varieties. Days to maturity range from 70 to 90, depending on the variety. After you transplant, cover the plants with row covers to keep pests at bay. You’ll remove the row covers when you see both male and female flowers on the vine. watermelon in your home garden. Keep soil moist but not waterlogged. Water at the vine’s base in the morning, and try to avoid wetting the leaves and avoid overhead watering. Reduce watering once fruit are growing. Dry weather produces the sweetest melon. If you choose to fertilize (and many do), make sure it’s deliver more nitrogen than phosphorus and potassium. However, after flowering begins, use a fertilizer with less nitrogen. We like to use liquid seaweed. ‘Sugar Baby’ 80 days to maturity. 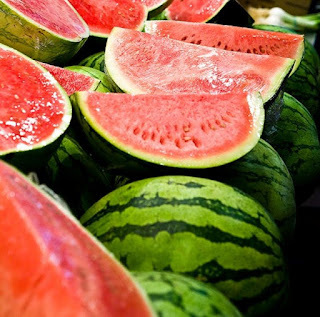 Produces 10-pound melons with bright red flesh. This variety of smaller fruit can be planted just 4 feet apart. ‘Sweet Beauty’ 80 days to maturity. A 2004 All-America Selection. Bears 6-pound, oblong melons with red flesh. ‘Golden Midget’ 70 days to maturity. Bears petite, yellow-skinned 3-pound melons with pink flesh. Good for Northern gardeners. What’s in a name? Watermelon is 90% water. The pumpkin vine never bears watermelons. 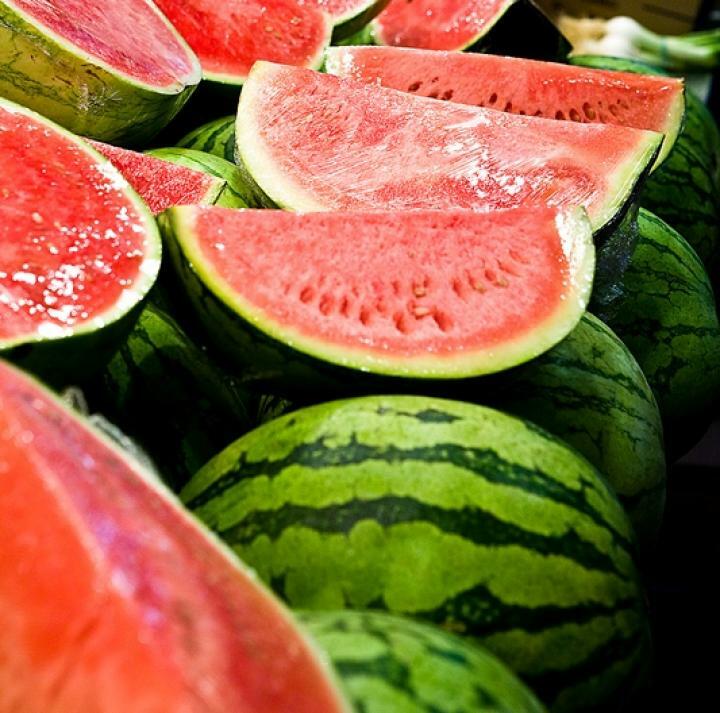 August 3 is National Watermelon Day (U.S.)!